If you’ve never purchased bail bonds in the past, you might not quite have an idea about how it works. Sure, you’ve probably seen a few depictions of people being released from jail after a loved one pays their bail on television or in movies, but what is it like in real life? In today’s post, we’ll be highlighting a common source of confusion about bail bonds — the need for collateral. Will you definitely have to put something up as collateral when working with a bail bondsman? If so, what can you use? If you’ve ever wondered what the situation looks like, keep reading to learn more. Although we won’t speak for other bond agencies out there, one important thing to note is that at Wanna Get Out Bail Bonds, we don’t require collateral for most of our bonds. In other words, in the vast majority of situations, we can find a solution that doesn’t require you to put something you love up as collateral. But when we say collateral, what do we mean? Essentially, collateral is something you could use to show a bondsman that you are confident in bailing another person out of jail and certain that he or she won’t make a run for it. If that person did decide to skip bail, you’d lose your collateral. That’s why we’re proud to say that in most instances, we don’t require it. Of course, we also want you to be confident that the person you’re bailing out of jail won’t skip, but we pride ourselves on offering flexible payment plans and other options to ensure that you find a solution that works best for your specific needs. With that in mind, if you did happen to work with a bondsman that wanted capital, what could you put up? Let’s take a look. But What Are Some Common Choices for Collateral? 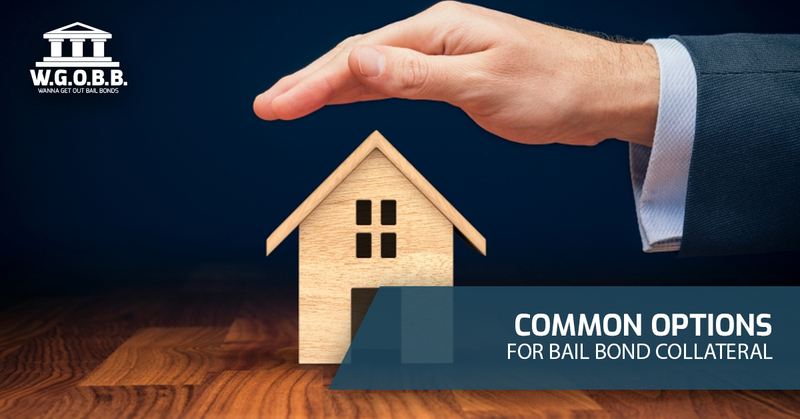 Depending on the size of the bail amount in question, a bond agency could ask you to put real estate up as collateral. Whether your family owns land in a different state, you own a condo in Honolulu, or you have a restaurant, it can be used as collateral for a bond. It’s also important to note that if you don’t own real estate, it is possible to use a family member’s real estate holdings as collateral — as long as they agree to do so, of course. If you own your vehicle, it can be considered as collateral. Whether it’s a small sedan, a massive pickup truck, or a midsize SUV, vehicles are a commonly requested form of collateral. In fact, vehicles are probably the most common form of collateral. One other thing to keep in mind is that the definition of what is considered a vehicle is broad. For example, boats, ATVs, jet skis, and even motorhomes are considered vehicles for this purpose. Do you own another piece of property that is valuable? It could potentially be used as collateral. Some common belongings include coins, gemstones, electronic devices, firearms, musical instruments, and more. Keep in mind that an item’s value plays a large part in how much you can use it for collateral. In other words, if you have, for example, a mint condition guitar that was built in the 1960s, you’ll probably get a lot more for that than you would for a beat up guitar that was produced some time in the past two decades. Everything is relative, but if it’s worth something, there’s a good chance you can use it as collateral. As we mentioned above, we don’t require collateral for most bonds. Additionally, we offer flexible payment plans, ensuring that no matter your situation, you have options that will work for you. We even accept payments with credit cards! At the end of the day, the thing we want you to know about us is that we strive to make your life easier when you’re going through a difficult situation. No matter the time of day or night, no matter the situation, we’ll be there to help. Contact us today to work with the best team in Honolulu!